Follow the subcategories to find your bayonet base, wedge base(mini wedge base), and g4 base 12v replacement LED automotive bulbs. 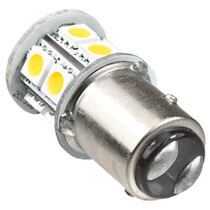 Completely retrofit your RV, camper, boat, or vehicle with energy efficient LED replacement bulbs using existing fixtures to enjoy hours more entertainment and enjoyment from your 12v power source. 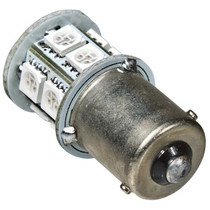 Our 12V LED bulbs for RV's are shock and vibration resistant and can last up to 30,000 hours. Keep in mind, it is recommended to match the color of your LED automotive bulbs to the color of your fixture lens.